High Accuracy 0.1mm per tip. 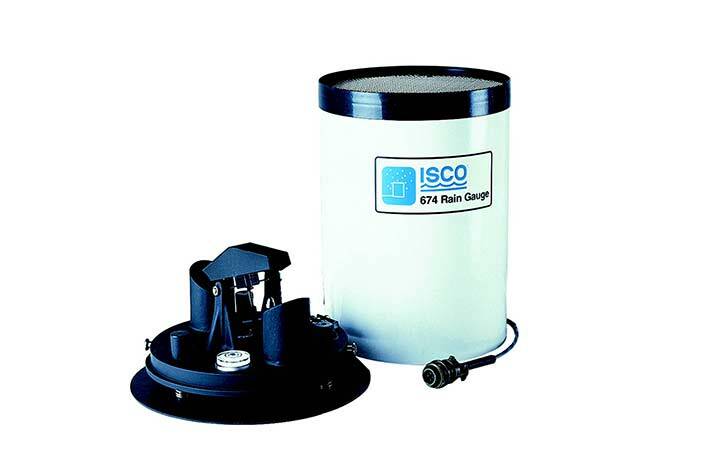 The ISCO rain gauge uses a tipping bucket design to measure rainfall accurately. It is factory calibrated to tip at 0.1mm of rainfall. When an ISCO flowmeter or sampler is connected to the rain gauge it will store rainfall data in its internal memory for retrieval and analysis with ISCO Flowlink Software, plot graphs and print reports using the built in printer and activate sampling based on rainfall. All openings of the rain gauge are covered with screens to prevent debris clogging up the gauge. The tipping bucket has spring loaded sapphire jewel bearings to prevent damage and to ensure consistent operation over a wide temperature range. Switch Type Hermetically sealed magnetic proximity switch. Normally open, 200V DC, 0.5 A maximum.